Hi folks! Ruthie with Arizona Oriental & Specialty Rug Care here and I just wanted to take a quick moment today and thank all of my wonderful clients! It is their confidence in us that makes us want to continue striving to be the best of the best! Recently, one of my clients left this beautiful testimonial with us and I just wanted to share her very kind words with you all. Thank you so much Dana for your kind words and glowing testimonial! I always love seeing past clients come back to us time and again for their area rug cleaning needs. And to have the confidence of a wonderful consignment store here in town is even better! For anyone looking for a great professional rug washer, look no further! Arizona Oriental & Specialty Rug Care is a WoolSafe Certified Rug Care provider and we are more than happy to answer any questions you may have about our rug cleaning process! 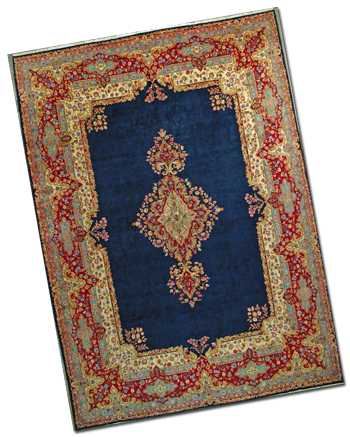 We offer FREE estimates and can also help with any repairs your rug may need.